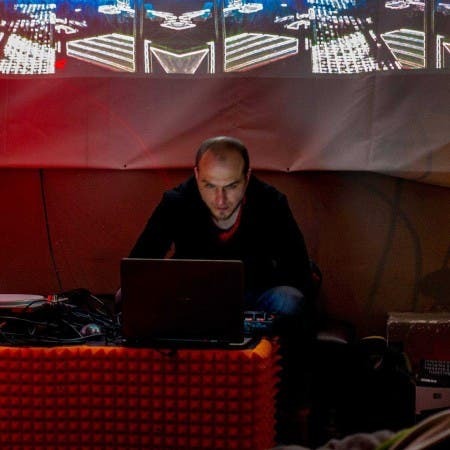 DJ, producer, promoter, creator of graphics promoting the Olsztyn electronic scene. Author of graphic design of “Jedynak”, “Elektroniczny Olsztyn” and “Strefa Outdorowa” for the needs of Electronic For a Friend. For 20 years associated with the Olsztyn independent scene mainly through hip-hop culture. In 2012, he created a series of Chaos Theory events. Inviting DJs to Olsztyn and producers from various spheres of bass music and techno, he became known as a search promoter. Allenstain Spirit is his second cyclical project in which well-known representatives of the Polish electronic scene presented themselves.